As soon as you walk in our doors, you'll know this is the home for your new business. Our friendly staff will be there waiting to greet you and take you on a tour. As our largest single room, our comfortable event space is perfect for hosting conferences, parties, or whatever your business needs. It can seat up to 100 people in theater-style seating, as well as accommodating classroom-style and reception-style layouts. The event space is rented to staff, groups, organizations, and external companies as available. 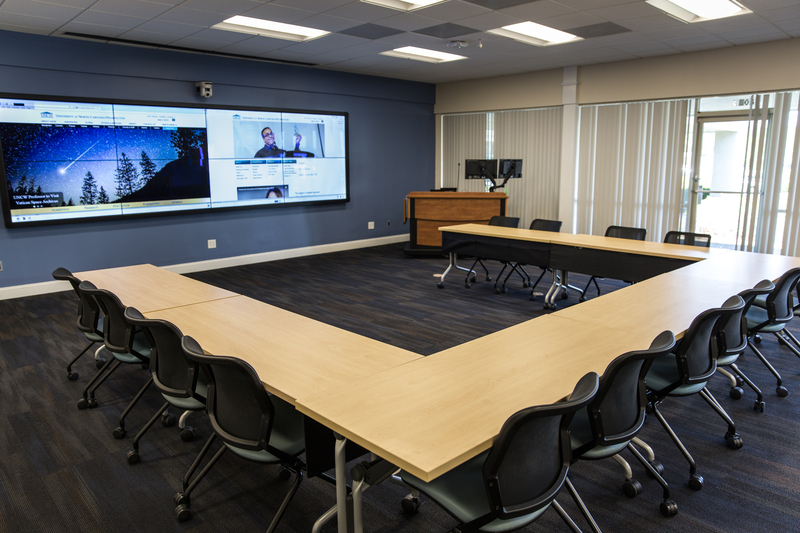 The event space is equipped for conference calls, presentations, session recording, and displaying presentations on monitors throughout the CIE facility. Now featuring a high-tech, touch screen-enabled video wall, the event space is even better equipped for presentations and can now stream or record sessions. A large, shared working area for our tenants to use, accessible 24/7. This room is arranged to encourage a comfortable, creative working atmosphere. The co-working space can occasionally be utilized as an event space when extra room is needed. 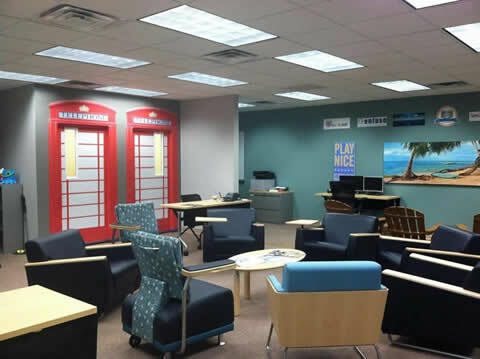 The co-working space is equipped with Mac desktops (access to Microsoft Office, the Adobe suite, and Xcode included), portable whiteboards and SMART board, private sound-proof offices ("telephone booths"), a multi-device charging station, various working and seating options with plenty of electrical outlets, a Relaxation Nook with flatscreen TV, the CORAL (Coastal Open Resource App Lab), the ODL (Open Device Lab, where tenants can check out electronic equipment), basic office supplies, and lockers for personal belongings. The extended co-working space, located in the area between the co-working space and the event space, is a comfortable, informal meeting space that provides extra seating for tenants or a location for networking events. 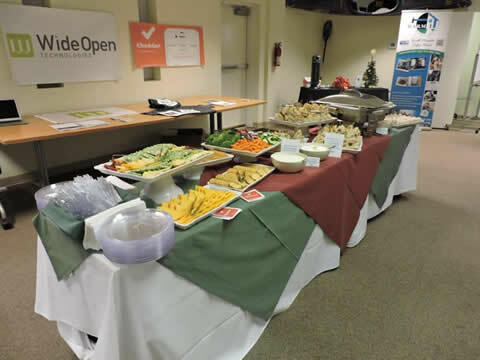 It is where all of our refreshments are served at events and features a standing work bar, a wet bar, and various seating options. It's also home to the 3D printer we added to our facilities in 2016, which is accessible for all tenants with permission from the Manager of Operations. The extended co-working space also has amounted flatscreen TV with cable and various hookups, and it's easily rearrangeable. With meeting offices on site, you'll be able to manage and attack issues as a team. 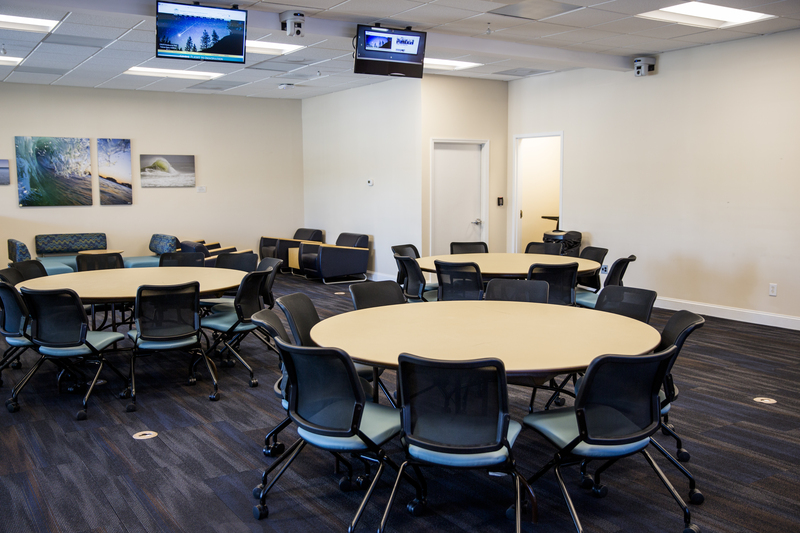 The Ocean Conference Room is one of several spaces ideal for holding meetings and can accommodate 6 participants. Its accommodations include a flatscreen TV with multiple hookups, conference calling equipment, privacy screens and soundproof walls, etc. As our facility continues to thrive, our amenities continue to develop. We are constantly adding tools for our members to use while creating more efficient working space for those incubated in our facility. As a center for innovation, staying up to date is important, which is why we continue to update our technology in order to satisfy our tenants' wants and needs. For even more detailed information about rentable CIE facilities, take a look at the information packet.